Layer fallen leaves, grass clippings and weeds (no seeds) and dynamic lifter, making sure there are balanced layers of green and dry material. Moisten well. Turn the heap every two days for a week or so; then once a week for two months. The benefits are twofold - you're getting fitter turning the compost and you'll have wonderful compost for the spring! Apply compost in your bed preparation stage before sowing seeds or plants. Now for some really interesting facts on compost and why we should be proactive in using it freely in our gardens. 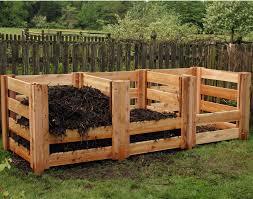 Compost is magic stuff as it encourages healthy plants that are better equipped to fight off disease. The inevitable increase in yields is the added bonus of improving both soil and plant health. By applying good quality compost the populations of naturally occurring bacteria and fungi that suppresses the organisms that often cause disease will be boosted. These beneficial microbes found in compost are called biological control or biocontrol agents. Biocontrol is the use of natural predators, parasites or pathogens to control pests. Decaying organic matter provides the ideal conditions for beneficial microorganisms to grow, but not all types or organic matter are equal when it comes to disease suppression. Woody materials that degrade slowly can give long lasting suppression as they release nitrogen, potassium and phosphorus slowly into the soil. Carbon-rich composts are good at suppressing parasitic nematodes because they support fungi which are antagonistic to these nematodes. On the other hand, pyrolised bark particles are particularly inert, therefore will not suppress disease. The particle size of composted materials also affects disease suppression. As particle sizes decrease, the disease suppressive impact increases and disease suppressive duration decreases. The particle size also has impacts on the soil structure and water infiltration. Therefore, it is important to have a diverse mix of materials in your compost to aid in the suppression of diseases and to have healthy soil and plants.